Join us throughout the year at the LEGOLAND® Windsor Resort for an awesome selection of events! Experience a truly unforgettable May Half Term between 25th May — 2nd June. Enjoy brand new attractions, plus the re-opening of Drench Towers! Book a family short break between Saturday 25th May — Sunday 2nd June and experience a truly unforgettable May Half Term. Enjoy brand new attractions plus the re-opening of Drench Towers! Packages include an overnight stay, breakfast and your 2nd day in the Park FREE! Book early and join us for the spookiest sleepover of the year at LEGOLAND® Windsor Resort! Halloween is back for 2019 at LEGOLAND® Windsor Resort! Explore the LEGOLAND® Resort Hotel for an awesome winter getaway! 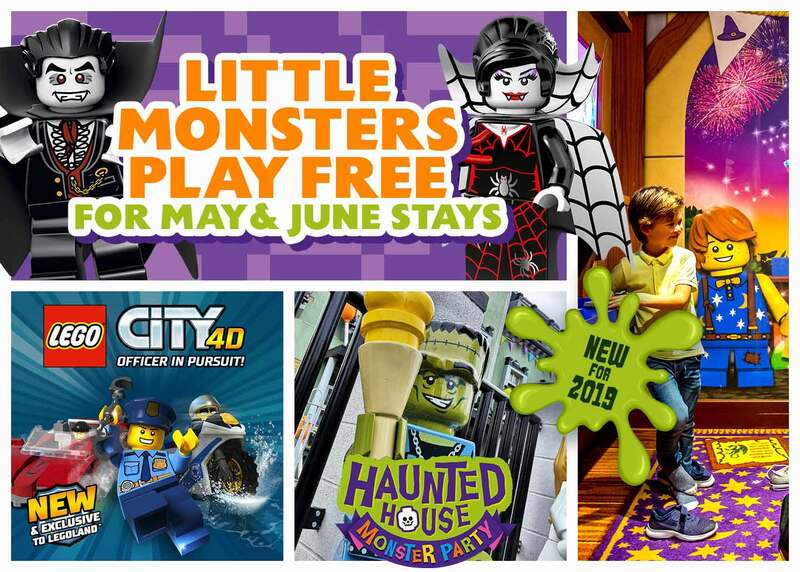 Includes a FREE LEGO® gift, access to the pirate-themed splash pool and family entertainment. Explore the LEGOLAND® Resort Hotel for an awesome winter getaway! Your LEGOLAND Holiday will include an overnight stay in a themed room, a delicious buffet breakfast, PLUS use of the pirate themed splash pool and interactive LEGO® features in the hotel! Experience the Resort at the most wonderful time of the year! With so many LEGO® filled activities, make LEGOLAND® Windsor Resort your family destination this Christmas! Experience the Resort at the most wonderful time of the year! With so many LEGO® filled activities, make LEGOLAND® Windsor Resort your family destination this Christmas! Join us on selected dates in November and December for a magical LEGO Christmas!